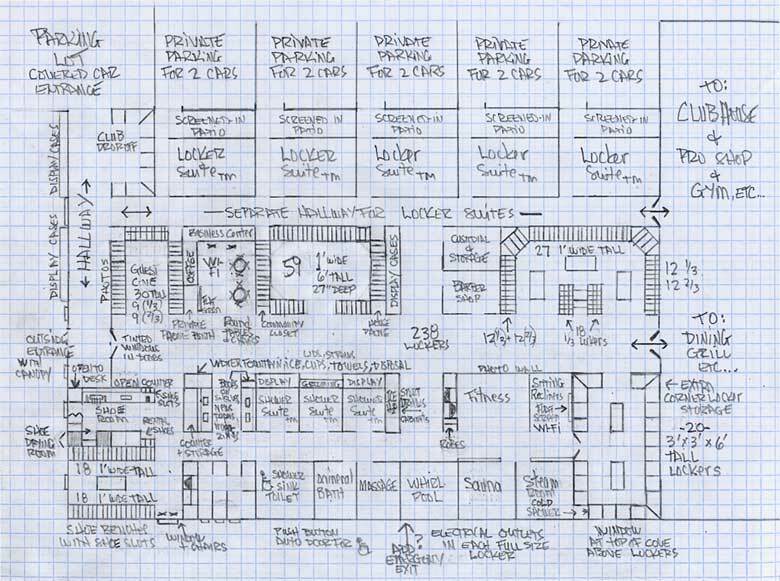 FLOOR PLAN #5 allows for both direct covered access from the parking lot and inside the clubhouse. It features the unique Shower SuiteTM experience, 5 Locker SuitesTM with private parking for two vehicles each, 238 lockers of various sizes (more can be added) including 20 3’x3’x6’, nice wide aisles and an efficient shoe room layout conveniently located by the main entrance to the locker room. Please note that the Shower SuitesTM can be placed on an outside wall for the optional fresh air window.